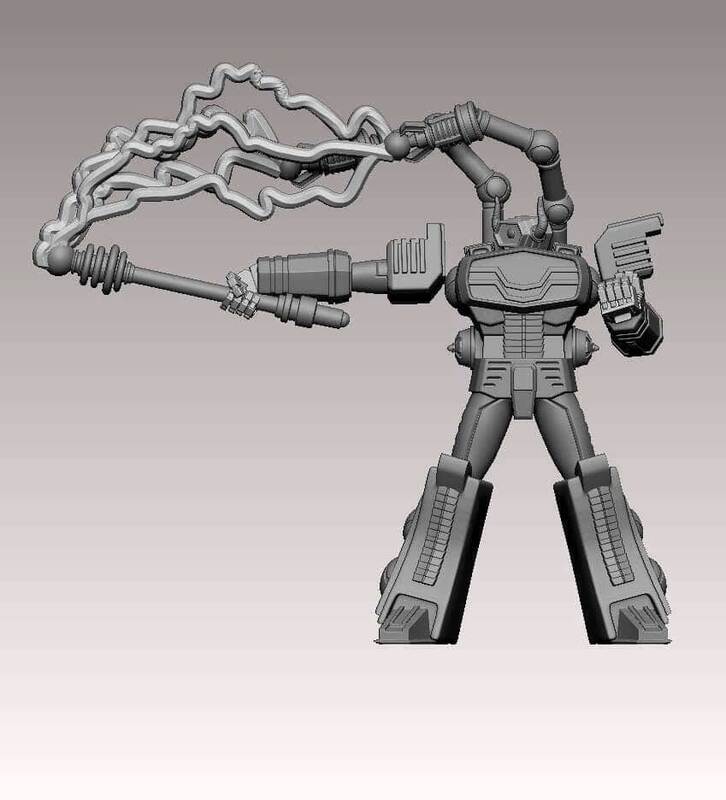 Work in progress preview - Electrotyrant. After just a few years on Earth the Deceiver forces have already started to fragment. Some say that this is good news and it is hoped that this creates smaller pockets of isolated Deceiver strongholds that are easily destroyed. However others aren’t so hopeful. In many cases the Deceiver fragmentation is making the job of ridding the earth more difficult. This holds true for one such faction under Electrotyrant. Once Electroshock, Electrotyrant was a powerful Deceiver leader. However like all Deceivers he craved power which eventually led him to create a secret society within the Deceiver hierarchy with him as its head. When this deceit was discovered, it led to a schism in Deceiver leadership and Electrotyrant fled to earths moon where he had already constructed a base. Now Electrotyrant along with his 6 loyal air warriors lead an army of unthinking automata against earths forces. Electrotyrant is a powerful bot, especially in ranged attack. Being able to generate huge volumes or electrical power and channel it towards enemy bots. With 4 RA and surge he is certainly a leader class bot to be feared!